Sherry -Jerez- Xeres - VINOS LIBRES "just honest wines"
Jerez de la Frontera, Is a city in Andalusia – with a lot of history. From the perspective of outsiders it is a quintessentially Spanish city. Birth place of Flamenco, the fighting Bull, Tapas and home to the famous Spanish "Carthusian" horse - it is also home to a world renowned wine that bears its name. The roots and name of this magical city are deeply steeped in the early history of the Iberian Peninsula. The great Phoenician merchants who traded throughout the Mediterranean and brought grape vines to Iberia settled here in the 8th century BC and named it Xera. To the Romans who settled in the 2nd century BC it was Cere – they stayed for 700 years until Vandals and Visigoths took over. But perhaps the greatest influence came from the Arab occupation in 711AD the city became part of "Al-Andalus" (Morish Spain) and was renamed Sherish. Under Moorish occupation much of the city developed its current layout and architecture. Culturally the city thrived, as Al-Andalus was tolerant of other religions and cultures so Gypsies, Muslims, Jews and Christians coexisted traded and added to city life. The city was reconquered by Castillian Kings in 1264. Geographically Jerez with the port of Cadiz was perfectly situated to trade with The Mediterranean, North Africa and the Atlantic. Its proximity to both bodies of water blessed it with a broad offering of seafood and spices still enjoyed today. Food in Jerez is truly outstanding incorporating a broad variety of fresh seafood along with baby lamb, small game and incredible pork products paired with dates, figs, nuts and spices like star anise, turmeric and saffron. Sherries from Manzanilla to Oloroso pair beautifully with these often unpairable combinations. What is sherry? - sherry is not an aperitif, Sherry is wine and it pairs seamlessly with food - often tackling the unpairables that leave wine in the dust. For many Sherry begins where wine ends - it goes the distance with exotic fragrant spices, vegetables high in iron like Asparagus, Artichoke, Spinach and Kale, anything pickled and high heat sauces and peppers...So Bring on Masala and Vindaloo, Sushi with soy, wasabi and ginger yes Harisa, Tobasco and Habaneros too - Sherry is ready! Question for the Sherry Hound? Peter de Trolio III Esq. moved from Boston to Jerez over 20 years ago when he fell in love with "the most extraordinary Jerezana" - He now has two grown kids and sings with a local choir. 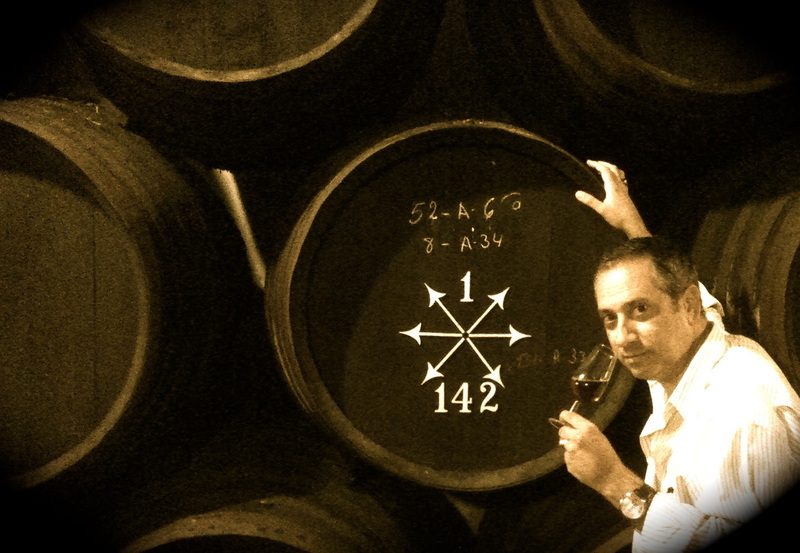 He fell in love with Sherry after working for Emilio Hidalgo in Jerez and Barbadillo in Sanlucar de Barameda. He is now on the hunt for sleeping Soleras from small Almacenistas and Artisanal family owned producers.